Archives_2005_to_Present #150 – A Stroll Along the World’s Longest Jetty a photo by kuantoh on Flickr. 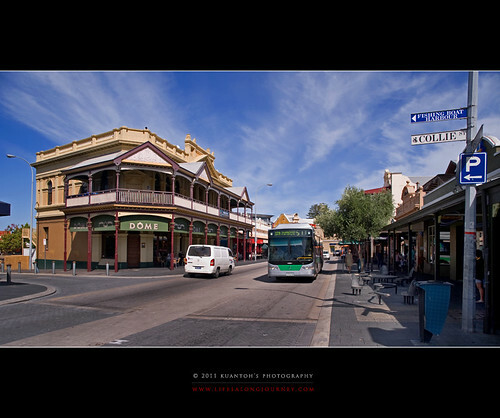 This shot was taken with a Nikon D700 at Busselton, Western Australia, 2009. Busselton Jetty was undergoing extensive repair works when I was there. 2km long jetty, known for being the world’s longest, lives up to its reputation at this sunset. 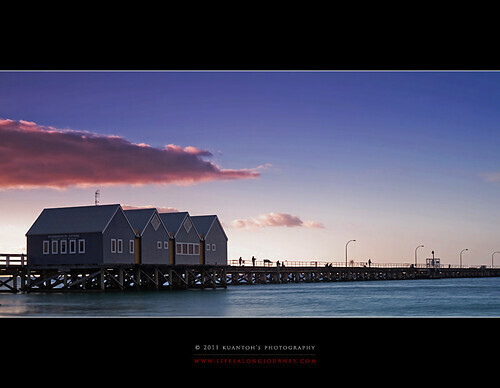 The magenta and reddish cast into the clouds above the jetty houses are a nice complement to the overall scene. People fishing, walking and relaxing along the stretch of the jetty are just some scenes of how a getaway from the hectic lifestyle could be here. Love to have a strong down this famed longest jetty once more. 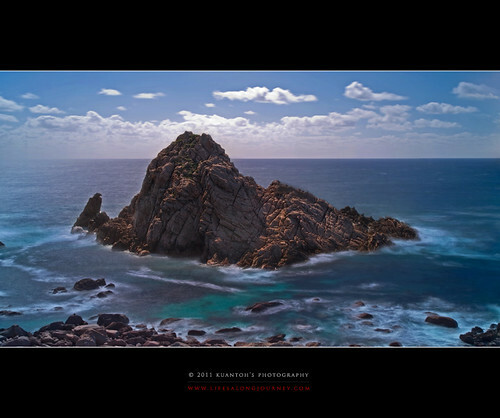 Archives_2005_to_Present #149 – Sugarloaf Rock a photo by kuantoh on Flickr. 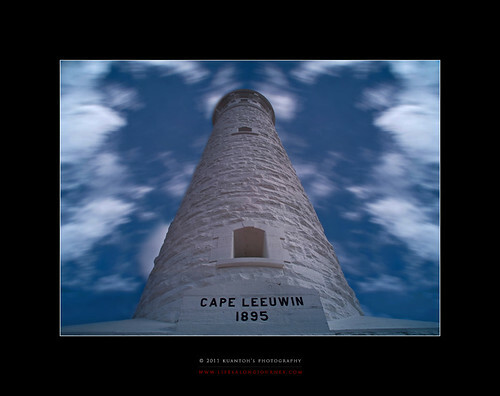 This shot was taken with a Nikon D700 at Dunsbrough, Western Australia, 2009. Named Sugarloaf Rock, this massive rock structure resembles a piece of sugar rock hence this name. 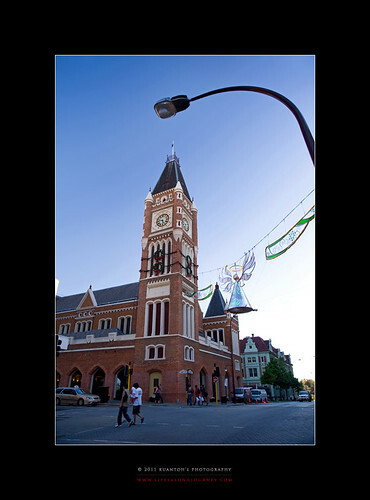 Do not have the luxury to come for a sunrise shoot here, so here in the mid hot afternoon sun, drove past here and took a 10sec exposure for this final shot. Winds are coming in at 22km/hr, making my travel tripod shaking violently while this shot was taken so only way to stabilize it was to add weight and put my body weight on the cam and tripod to steady it through this shot. South West Coastline of Western Australia is extremely aplenty with such beautifull coastlines and this is just one of the many. Archives_2005_to_Present #148 – May Light Be The Guide a photo by kuantoh on Flickr. 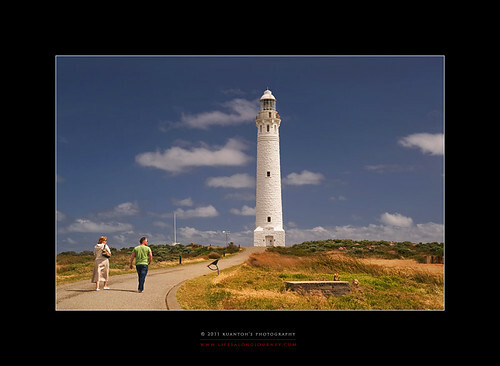 Turning back for a last shot of this great lighthouse. An almost dead centre composition broken by the couple strolling towards it. After being a guide for ships for a century or more, it’s more of a scenic guide for tourists. 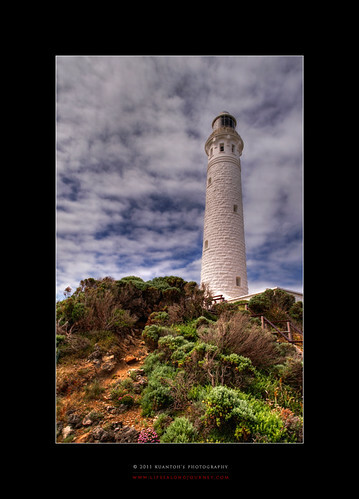 Nevertheless, every lighthouse is indeed a guide when the weather gets rough. May light be the guide for you too.